In addition to my roles as mother, full time employee, gardener, chef, website administrator and an avid nail polish lover, I am also the creator and purveyor of high-quality, long lasting, indie, hand-blended nail polishes and other nail care products. My store is open 24/7 and Internationally for your shopping convenience. Please don't hesitate to contact me if you have any questions or concerns. I am at your service. Looove new because its a perfect match for my steelers collection!! Can I purchase another jar of the Cutie Balm? I really love it for night time. It works great! Yes, this is funny! but useful too! I have had a couple people say that the balm works well for a few other things: Like rough elbows and feet. I can't wait to get some of your beautiful polish! I'm looking forward to Flamingo and Candy Corn the most, but they're all awesome! 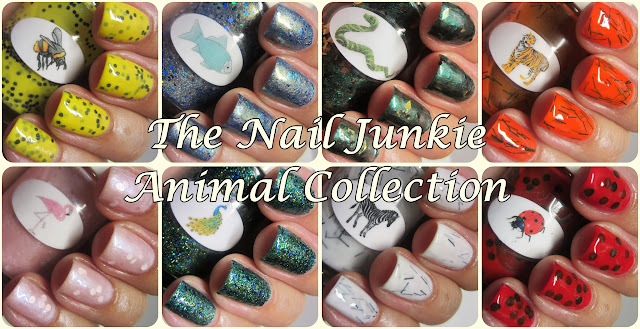 I enjoyed watch your polishes, some of them i really loved! Saw your neon jellies at norwaynails and got curious. Are they jelly like jelly, or more color? Its hard for me to explain, since i don't know all the words... i wanted to try a "pond"manicure, and i really dont own any jellies..
My Jellies were made for Pondicures and Jelly Sandwiches and Stampwiches! Whatever your heart desires! :) Thanks for your interest!